The upcoming Saand Ki Aankh is a rare occurrence within the realm of popular Hindi cinema. It is the kind of film where the stars truly align for women. 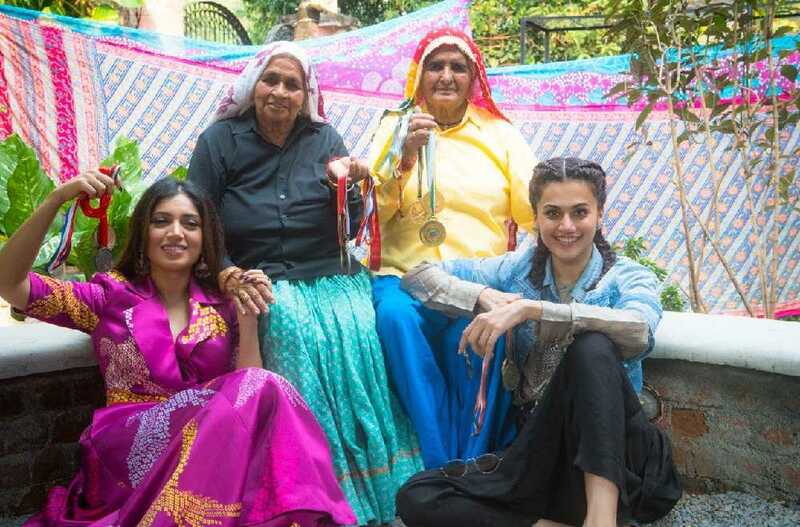 The film is based upon the real-life story of Chandro 'Shooter Dadi' Tomar and her sister-in-law, Prakashi Tomar, who took up shooting well in their 60s and went on to became accomplished shooters. Saand Ki Aankh had the capacity to go down as one of the all-time great films even before anyone has seen even a single frame of the film. It so happens that the premise of the film offered a great opportunity for the industry to cast women beyond what it has traditionally considered being the ‘standard’ leading lady age. By casting Taapsee Pannu and Bhumi Pednekar to play a couple of real-life 60-year olds, the filmmakers seem to be undertaking a unique challenge but looking at the first-look of the film, and it appears like a golden chance might have been squandered. Films based on real-life events offer the best opportunities for any actor to sink into the skin of a character truly. It’s also the one genre where the rules of the typically male-dominated Hindi film industry cannot be forced up upon women when it comes to the characters they play. This is also the rare instance where women get to play comparatively better-etched roles than what Hindi films routinely offer them, and as a result, it also allows (for want of a better term) women actors beyond a certain age to overcome the odds in landing three-dimensional characters. A scenario where all these elements merrily commingle is then a once in a lifetime event, and Saand Ki Aankh had all the makings of being one. The film has been in the news for a while and after a few false starts it finally took off with producer Anurag Kashyap announcing Pannu and Pednekar as the leads. The announcement also made news for how the film’s initially intended title, ‘Womaniya’ was dropped as Pritish Nandy had it registered to his production house and reportedly asked for nearly Rs. 1 crore to release the title. While one isn’t against a Taapsee Pannu or Bhumi Pednekar but it is worth pondering whatever made the people behind the film not think of casting women closer to the real age of the characters? Imagine a Neena Gupta opposite a Shabana Azmi, Surekha Sikri or a Hema Malini portraying Shooter Dadi and her sister-in-law instead of opting for the conventional approach — prosthetics and makeup on younger actors. It might be argued that the constraints of the trade (read: commercial film) might have forced the producers to cast women who would make the project commercially feasible but such an argument today doesn’t work anymore. Both the audiences as well as the trade have in the last few years have more than warmed up to the prospect of films off the beaten path in terms of content as well as casting. A few years ago, Neena Gupta even took to social media to ask for meaningful work. Since then the National Award-winning actor has scripted a marvelous second inning. Besides featuring in marquee projects, she has also practically carried one of last year’s most significant commercial as well as critical successes, Badhaai Ho. 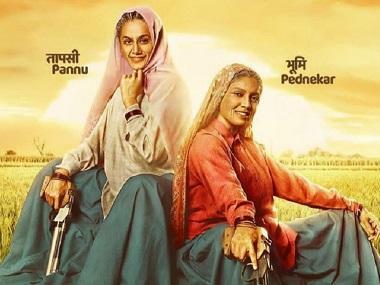 Far from judging a book by its cover or an entire film by its first-look, Saand Ki Aankh appears to have lost much heft. As a producer, Kashyap, who had been likened by some as being India’s version of Quentin Tarantino, ought to take a leaf from QT’s book and revisit Jackie Brown (1997). Tarantino insisted on casting Pam Grier, a screen legend in her own right but someone who hadn’t performed a leading role in decades, and stood firm even when his producers, Harvey, and Bob Weinstein, told him that the film would make much more at the box office if he replaced Grier for a younger star. The film perhaps remains Tarantino’s most mature production but more than that it shows how, when possible, creative vision need not adhere to economic coercion. In an industry that is well-known for not writing characters for women once they cross the age where Bollywood of yore couldn’t fit them in the mainstream ’heroine’ mode, a bunch of 60-year women being the mainstay of a script based on real-life is just the kind of stuff dreams are made of. Unfortunately, Bollywood’s reality is yet to fulfill some dreams.